Another weekend gone just like that! Another Monday just around the corner. Another 31 Day challenge sneaking up on me. I'm really going to have to get myself organised if I'm hoping to post every day again for a whole month. 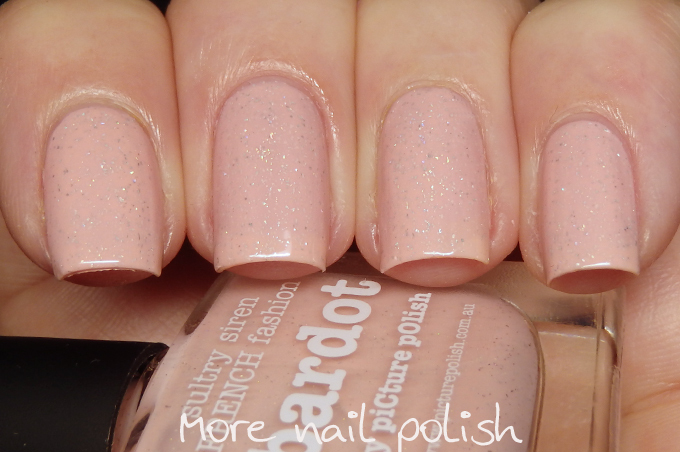 Today's polish is Bardot, a new pale pink crelly shade from Picture Polish. 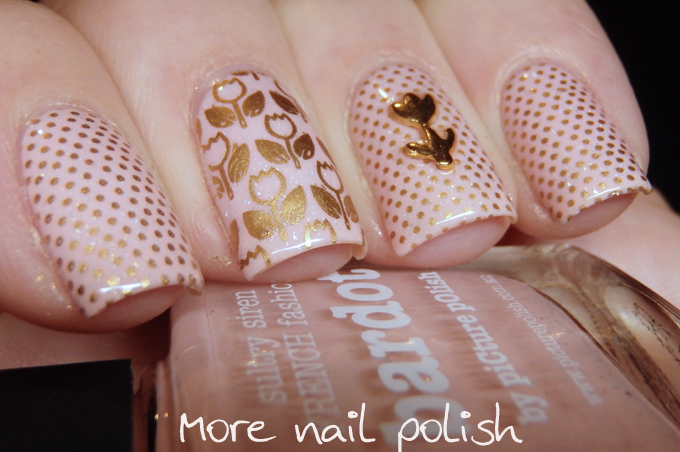 First up, here is the mani of how I wore Bardot. Stamping is using Mundo de Unas Gold and a tulip charm. I really love these little dots stamping. I thought they were going to be too small and fine to show up, but they actually show up beautifully. 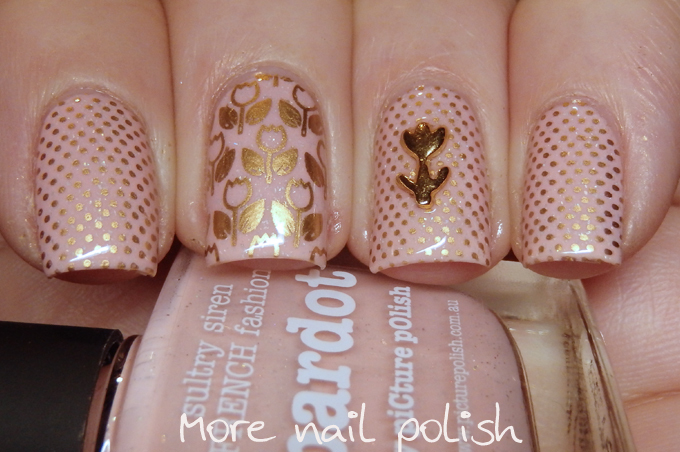 Also loving that I actually had a tulip stamping image to go with the charm. 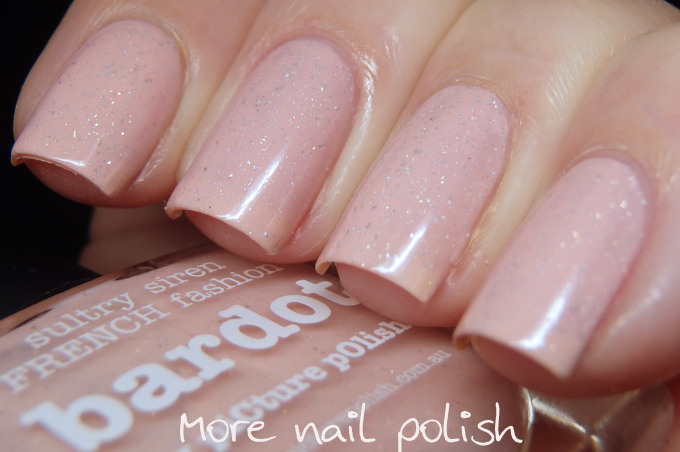 Here are swatches of Bardot on it's own. This is more of a crelly shade. I'm not going to say it's a fully creme because you can still see the holo particles in this, but it certainly is more creamy that most of the Picture Polish scattered holo polishes. This is a very neutral pink tone, rather fleshy. It is quite different from Grace, which is also a pale pink scattered holo. This doesn't have as much holo in it compared to Grace, and Grace leans more lilac. 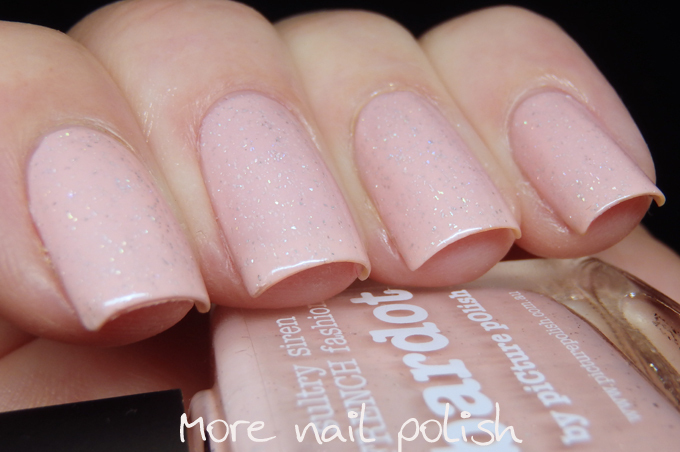 Picture Polish Bardot is available from Picture Polish. International ladies may be able purchase through one of the many Network stockists if they have this in stock. Wow, these are beautiful!! I love the colors together! Beautiful, feminine mani. Swoon. 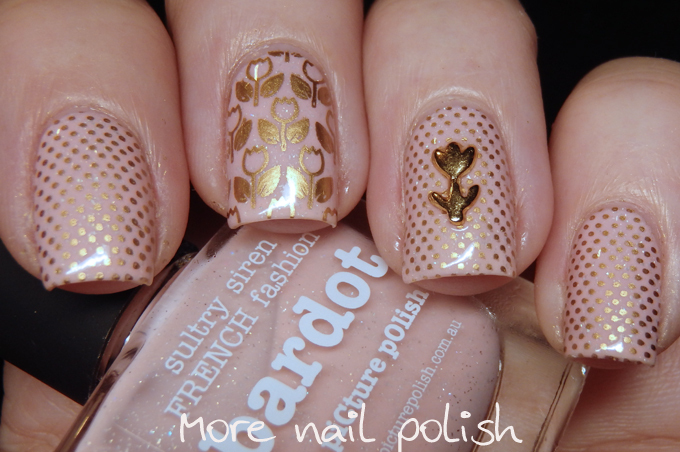 :) What stamping plate(s) gave you those gorgeous dots and tulips? Thank you! 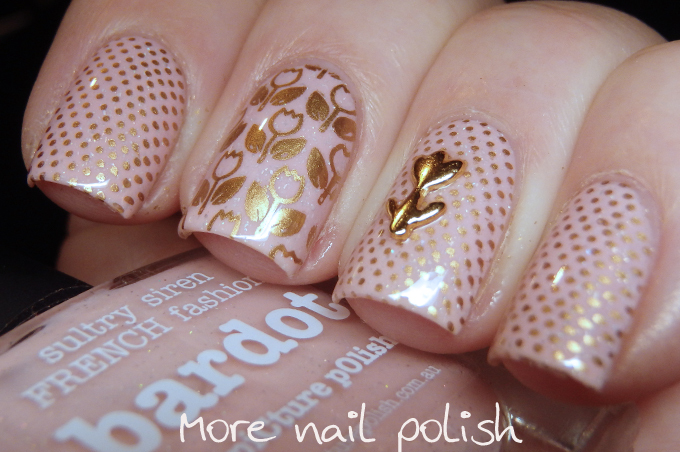 This such a beautiful mani, so delicate and fresh, I must give it a try when I get a minute! Iv only started to follow your blog and I must say you have one amazing stash of polishes, I hope one day my blog will get to anywhere near half your size of course that's in many years to come hehe! !